In its history the "Hitchcock Annual" has established itself as a key source of historical information and critical commentary on one of the central figures in film history and arguably one of the most important artists of the 20th century. This selection of writings offers an overview of thinking on the filmmaker and his work. The articles span his career and cover a wide range of topics from archaeological investigation to incisive analyses on the films themselves. 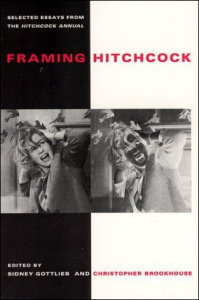 The collection begins with rare insights into Hitchcock's early years, including his work in Germany and his silent film "Easy Virtue", which, with its metaphoric play on the concept of "being framed", dramatizes aspects of the human condition to which Hitchcock returned repeatedly. Commentators explore a variety of themes, including the centrality of kissing shots and sequences in nearly all the films, and images of women's handbags as elements of sspense and sexual tension in such films as "Dial M for Murder" and "Psycho". Other essays examine the influence of "Vertigo" , "The Birds" and "Frenzy" on François Truffaut the remaking of "Psycho" and feminist interpretations of "Shadow of a Doubt".